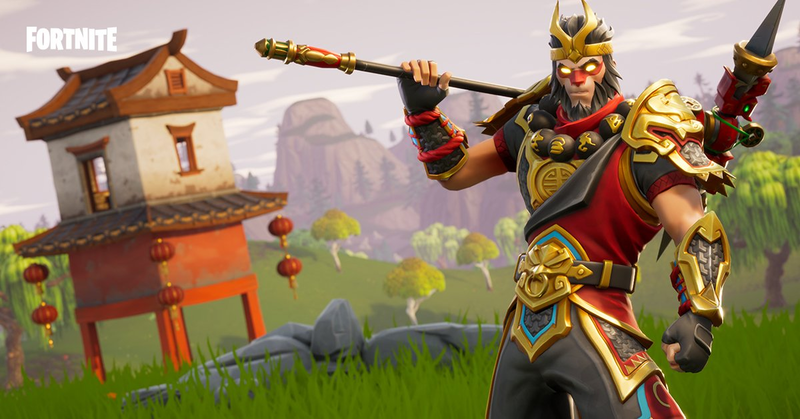 Epic Games is celebrating the Chinese New Year in style by adding a brand new skin and weapon to Fortnite: Battle Royale. With the Valentine’s Day event ending, Epic Games is preparing for the launch of season three with a gold and red skin of the Monkey King himself, Wukong, as well as a Dragon Axe to go along with the Chinese mythology theme. The Wukong skin will cost 2,000 V-Bucks, Fortnite’s in-game currency, while the Dragon Axe is available for 800 V-Bucks. PlayStation 4 players who have PS Plus can also grab a free skin and glider that were added to the game earlier this week. The launch of this skin follows the release of Patch 2.5.0, which caused several players to have a multitude of sound and lag issues. The update introduced players to the Impulse Grenade and made changes to the Scoped AR weapon. The Wukong skin and Dragon Axe will be available for a limited time only—so anybody who wants these items should probably act quickly.